Have questions about Lutheran Theology or practice? Interested in learning more or joining our congregation? St. Paul’s Lutheran Chapel is a congregation of The Lutheran Church – Missouri Synod. Being “Lutheran,” our congregations believe and confess the canonical books of the Old and New Testaments to be the inspired Word of God and the only infallible rule of faith and practice. We also believe and confess the three Ecumenical Creeds, namely the Apostles’, the Nicene, and the Athanasian. We believe and confess that the documents contained in the Book of Concord of 1580 are in agreement with the one scriptural faith. 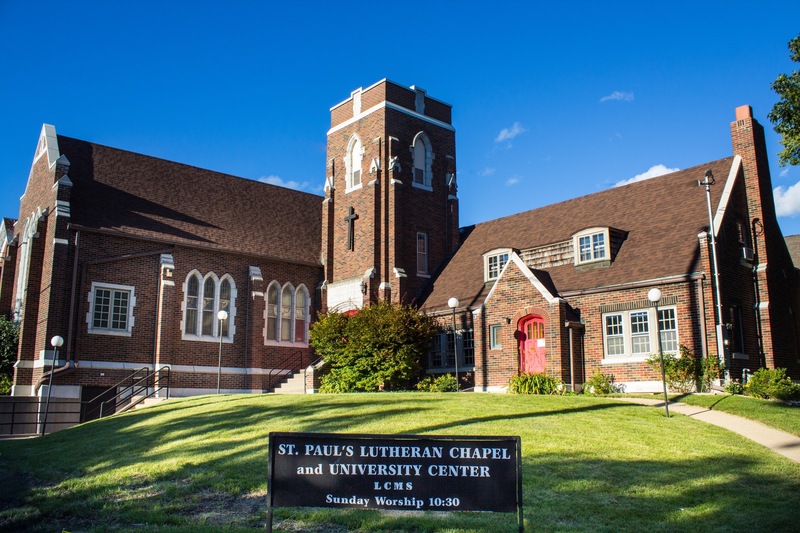 The congregation of St. Paul’s is a wonderful mix of students at the University of Iowa and a congregation of residents of Iowa City and its surrounding communities. Whether you are a student at the University of Iowa or live in the area, there is a place for you at St. Paul’s. Activities and events at St. Paul’s are available for all age groups and interests. In addition to Sunday morning worship, there are three different Bible classes, Sunday school for all ages, service projects, social outings, and of course, potlucks. Jesus Christ and Him Crucified and Risen is the center of all things at St. Paul’s. the Holy Spirit calls us to repentance and faith through the Word of God. Forgiveness, life and salvation are given to us freely through the preaching of the Word, Baptism, Absolution and in the Lord’s Supper. If you would like more information or would like to visit, Pastor’s door is always open. Please stop by with any questions or just to chat.